Riding the wave of inspiration and motivation after attending the Building Strategies Conference, anticipating Spring arriving (for real hopefully) soon we are prepared to offer our members several exciting programs through the upcoming months. Starting April 25th we have a “double-header” starting with a program at Tufts Health Plan in Watertown; Incorporating Professional Ethics into the New Age of Care Collaboration The speaker is Emily Navetta, MPH Sr. Acct. Manager at Caregiver Homes. Program located at Tufts Health Plan, Watertown, MA- 1 -2:45 PM. We expect a large audience of Tufts Health Plan colleagues, any CMSNE members and non-members are invited to attend. Later in the day we will be in Southeastern MA in collaboration with the Rhode Island Extension and Vibra Hospital to present a dinner program; Chronically Ill Patient Care the speaker is Candice Leigher, RN- Educator at Vibra Hospital- Program located at White's of Westport, Westport, MA- 5:30-7 PM. 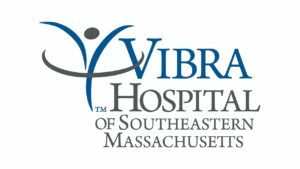 We are pleased to have the opportunity to partner with Vibra Hospital who provides post-acute care to patients in the South Coast area. We then move north to The Center for Advanced Therapy - D’Youville Life and Wellness Community in Lowell on June 5th from 5 to 7 PM for an event titled; Recent changes to the PASRR Program -Trends, Compliance the speaker is Pavel Terpelets, Institutional Program Manager - Masshealth. The presentation will focus on recent changes to the Preadmission Screening and Resident Review (PASRR) program (i.e. Level I form, referral process, add-on to the nursing facility rate, etc. ), recent trends in PASRR referrals, and providers’ compliance with the PASRR process. The PASRR is used by RN’s and Social Workers across the continuum of care, and with changes comes confusion so this is a valuable topic for discussion. Moving into July we will be at Lahey Hospital and Medical Center in Burlington and are very happy to have Erin Miller present the mandatory MA DPH Compliance Program for RN License renewal; Domestic and Sexual Abuse: What Healthcare Providers Need to Know, Erin is with DV/SA Program at Newton-Wellesley Hospital. The program will be held in the Alumni Auditorium at Lahey Hospital on July 25th from 4 PM to 7 PM. Erin is one of very few clinicians in the state certified to present this topic and we are fortunate to have her available to us. She is passionate about this topic and provides an excellent interactive session that educates professionals on these very important situations. Attendance to this program will satisfy the required credits mandatory for RN license renewal. We appreciate Lahey Hospital for providing the auditorium to us, we hope to fill it with RN’s eager to fulfill their educational obligation to the Commonwealth of Massachusetts. Info and registration forms all these programs are available below. The Massachusetts Extension Committee appreciates the support of our members and we continue to work on planning additional events and programs for the fall and winter. The Massachusetts Extension is always welcome to volunteers, so if you would like to get involved and gain experience in program planning, committee functions, etc. contact the CMSNE office at CMSNE@CMSNE.org and an extension member will reach out to you. This presentation offers 1.25 CCM Ethics renewal credits. Closed no longer accepting registrations. Please note: Members are reminded to register early for CMSNE programs. Programs failing to meet a minimum required registration limit 10 days prior to the program will be cancelled. In the event you are unable to attend a program for which you registered, you must notify CMSNE 12 business hours in advance. CMSNE enforces its registration cancellation policy. Members will be billed at the non-member rate if they fail to comply with the cancellation policy. The member is also disqualified from future pre-registration. CMSNE urges you to review the Meeting Registration Cancellation policy. Content and views presented in educational programs are those of the presenter. CMSNE endorses the pursuit of educational opportunities, however attendees should exercise their own professional and independent judgment when interpreting program content. In the event of inclement weather, contact the CMSNE business office (603) 329-7481 to ensure the program will proceed as scheduled.